Say It Ain’t So, John McPhee! I am a big fan of New Yorker magazine, regarding it, along with the New York Times, as the gold standard of print media. It’s publications like these that determine and change usage and correctness. I know, the use of commas has been curtailed, but I still put the Oxford comma before the “and” in a series. I am fairly conservative when it comes to questions of usage ( “shined” as a past tense grates on my ear. It may change to that some day, but not today for me). I think it’s basic to italicize books titles and other longer works. Short stories, song titles and shorter poems go inside quotation marks. 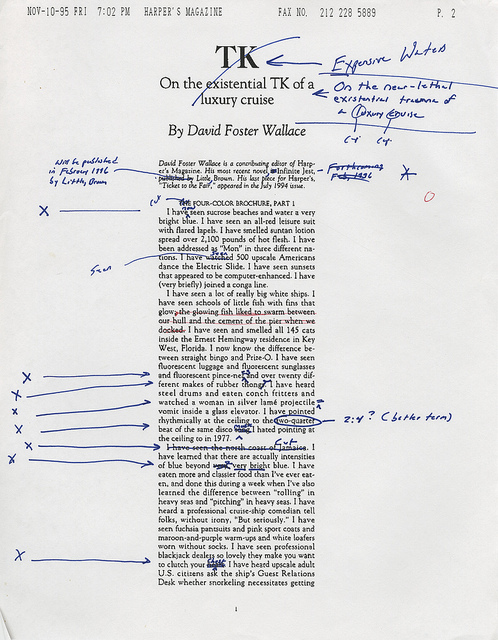 So, imagine my surprise when I read an article by the incredible New Yorker writer John McPhee about revision and copy editing (“Draft No. 4” on p. 32 of the Aril 29, 2013 issue) which included these sentences: “Book titles are framed in quotation marks. The names of magazines are italicized…The names of ships are italicized…”(p. 37). This, McPhee wrote, is House Style at the New Yorker. Huh? I hadn’t noticed quotes around book titles in nearly forty years of reading the magazine, but I checked a couple of book reviews and there they were. I have been driven crazy by Facebook’s lack of italics for book titles, so, according to the New Yorker, I could have saved my mental energy. Language changes, and that’s good, else we would be speaking Anglo-Saxon with a vocabulary of ten thousand words as opposed to the million or so that present-day English sports. I just wish someone would have told me about this change! 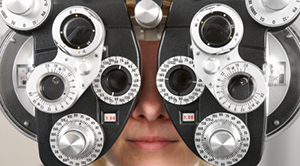 This is a phoropter. I didn’t know what it was called, either. I am struck by the changes the years have brought. To refract my eyes, my ophthalmologist breezes in. So she wears her white coat fashionably over her stylish Italian pants suit. Scans my eyeballs and feeds the measurements into a Mac. Quite a change from the old days, but I like these changes. Which enable us to see. Which is a good thing. Mine are green and have served me well. That I am free of glaucoma. The doctor tells me to see her in a year, which I will, and dashes off to her next patient. I can use reading glasses but I’m clutching a prescription for bifocals. I had run out of paper clips and wanted to get some more. I don’t do a lot of clipping, but sometimes when you need a paper clip, nothing else will do. I use the classic silver paper clips—simple, functional and durable. I didn’t want plastic-coated paper clips in a variety of primary colors or “fun” paper clips in the shape of rainbows or unicorns or whatever other shapes they come in these days. 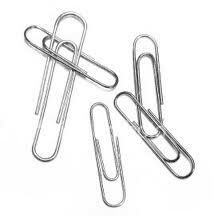 I didn’t want giant paper clips or paper clips that play “The Marseillaise.” Just plain paper clips, please. You’d think this would be easy to do, but you’d be wrong. I went to several office supply stores and they did not have ordinary silver paper clips unless I wanted to buy them bundled in groups of 6000. I could leave paper clips to my children if I bought that many. All I needed was a box of 100 or so to do me for five or six years. I think I went to five or six stores before I found that elusive box. Probably all the rest had been bought by people who also wanted plain silver paper clips. 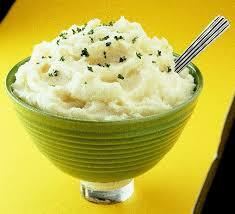 Then there are the microwavable mashed potatoes which I think are a great invention. They’re almost as good as the ones my wife makes from scratch but without the peeling, boiling, mashing and seasoning. 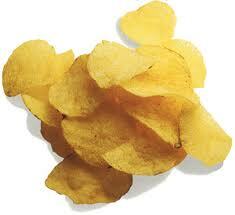 And of course, they come in a variety of flavors that always seem to be in plentiful supply. There are cheddar cheese, sour cream and chive and garlic flavors. What there is not plenty of is ordinary old mashed potatoes. I don’t know if the companies force the stores to take a certain amount of flavored products, but no one seems to be buying. They do seem to be buying the plain variety, which should give someone somewhere pause. Now, I am grateful for the choices we do have, but I wonder if we’ve gone a little too far. Maybe part of the current economic crisis comes from having too much choice—if companies are making a number of products that people don’t want or won’t buy, isn’t that a loss for the companies? I am not an economist, but it would seem that every sale not made is a loss for the company. (Yes, I know that is Nobel Prize in economics quality thinking.) One fix the car companies are looking at is not having so many brands. The chassis for many General Motors brands is the same: the sheet metal (and plastic) and appointments are different. Oldsmobile has gone the way of the dodo and maybe other brands will follow. Buick could be next, although my father tells me that the good people at the assisted living place where he lives are up in arms about that possibility since Buick is their car. Rock on, retired folks! So, it turns out that this post is not really about choices of products I don’t want: it’s about how to save the economy. Wow! Someone tell the president! Companies can figure out what people want to buy and make only that. If people don’t have more choices than they need, they’ll live. So will I as long as I have plain silver paper clips, regular potato chips and ordinary mashed potatoes. We used to have an in-ground swimming pool. It was great when the kids were younger and had their friends over, but they grew up and moved away, as kids tend to do, and we didn’t use the pool very much. We’re not pool people, so after a few summers of maintaining a pool no one used, we decided to have it filled in. This is not something one can do with a few shovels and a few friends on a Saturday afternoon. It has to be done by a company that specializes in pool removal. They told us if anyone just dumped a lot of dirt into the hole the pool occupied, the liner would rise out of the ground. Sounds like a horror movie or something. So we had the pool removed, although they didn’t, for some reason, take the pump and filter and external plumbing. I’m not sure why. Maybe I kept them because I don’t know, I wanted to put in a huge waterfall in the backyard. I just don’t remember. So, the sand filter, a large egg-shaped thing made of fiberglas, has been living under our deck ever since we got rid of the pool. I decided I wanted to take it to a pool store and see what they would offer me for it and the pump. The problem with taking it to the store is that, filled with sand, the filter probably weights three hundred pounds. There is no way I would be lifting that and putting it into my little Mazda wagon. So I decided to take the sand out, which is done by removing the filter lid and scooping the sand out. The problem with this is that the opening in the filter is about four inches across. The on-line articles I read said to use a bucket, but we don’t have children at home any more and so there are no little beach buckets at our house. I ended up using a twelve-ounce Styrofoam cup, which took a long time to empty all the sand out. But at least I could lift the filter shell. 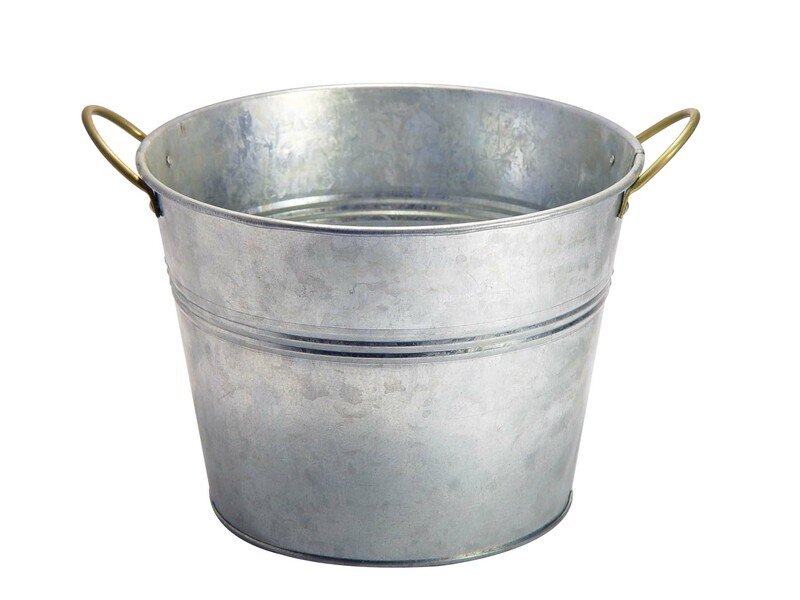 This is what got me to wondering about buckets and their history, and I found out that buckets as well as being useful (when they’re not too big for the task at hand) are a very old artifact, dating back over five thousand years. Egyptians used buckets, which is probably why they walked like an Egyptian. 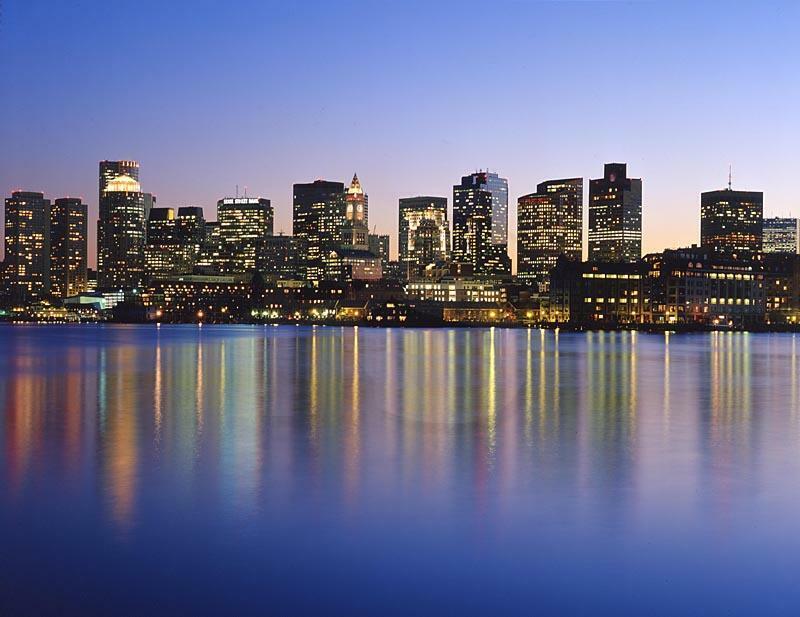 Once I had established this bit of knowledge, my associative mind, which you’ve witnessed at work here for a couple of years, got to thinking about bucket lists, which I’m sure everyone has heard of. It’s a list of exciting or unusual things that you want to do before you die, such as cliff dive (not thanks), bungee jumping (ditto) or swimming with the sharks (ugh). Some people don’t like the term bucket list, and I understand that. One alternative is “lifetime to do list” which, if it’s anything like my daily to do list, would NEVER get done. All that to say this: I don’t know if you’ve seen the list of the Top Ten Regrets of Dying People. Some other people have expanded the list to ten based on their experiences, and I think the regrets of the dying have a great deal to teach the living. 1. I wish I hadn’t worked so hard. I missed being a part of my children’s lives and I missed my wife’s/husband’s friendship and companionship. 2. I wish I’d have had the courage to live a life TRUE TO MYSELF, instead of living the life that others expected of me. 3. I wish I would have had the courage to express my feelings honestly instead of thinking they didn’t matter or they weren’t popular. 4. I wish I would’ve stayed in touch with my friends. 5. I wish that I would’ve allowed myself to be happier, smiling more and complaining less. 6. I wish I would’ve gotten to know God better. I’m realizing now, just HOW MUCH He’s always been there. 7. (Women) I wish I had just let the dust sit a little longer, and gone out to play with my children when they pleaded. (Men) I wish I had just let the phone ring, and chosen to stay home with my family more, or gone to that ballgame or that play. 8. I wish I would’ve known NOT to sweat the small stuff. It wasn’t all that important in the end when you are looking at the ‘big picture’. 9. I wish I would’ve had the attitude of celebrating life instead of enduring it. 10. I wish I would’ve taken a class or two to learn some new things. Wise words, and ones that should give each of us pause. I know they did me. To make change for the better? Of our hearts and journey onward. And my wife she said, what are you upset about? Not more printer dysfunction blues. A poster for the event in which I held dual citizenship. I don’t normally write about what happened to me over a weekend, because if would make for insufferably dull writing. This weekend, though, was an exception. After wrestling with my printer for five hours Friday evening so it would print some things I needed for the next day, I awoke Saturday, practiced a little song I had written based on a poem by local poet Katherine Mercurio Gotthardt, loaded myself down with guitar case, writer’s bag, garment bag with my tux in it and my music folder and headed off to the Hylton Performing Arts Center on the campus of George Mason University for the 2013 edition of Arts Alive, sponsored by the Prince William Arts Council. WBTR (as we like to call it) grew from four members in August 2011 to its present membership of about 160 (if I recall correctly). We had venues for reading (and in my case singing) and also book displays by eighteen authors in the Center, and a good time was had by all. The festival included painters, photographers, performance groups, quilters and others I didn’t get around to see. Event organizers put the number of people who attended at 3000, and WBTR increased its representation from two authors two years ago and eight a year ago. I did my song and hung out with my writerly buds, who are the best companions in the world. We talk about writing (shocker) and publishing and story conumdrums and thoroughly enjoy our time together. I also sang with the Manassas Chorale at 1:30, and I’ve written about this group before. That’s why I had the garment bag with the tux in it. Then I changed back into my writer’s clothes, which look remarkably like my ordinary clothes. I hung around the writers’ area until about 7:30 when I left, tried, but as they say, happy. We’ll be back next year, and I hope my novel will be published by then! Sunday was good as well. Our worship service at church went well, and the choir did a passable job on the anthem. I taught Sunday School with some of the best people I’ve ever known and then we had lunch with daughter Amy her b/f Chris. I visited my dad for a while, and then came home and listened to the Nats lose to the Braves (boo!) on the radio while I prepared a rusty shed for painting. Then it was off to bell rehearsal until 7, home to eat and then at the computer to write this. All, in all, a weekend filled with good things. I am grateful for writing, for my friends, for my family, WBTR, my church, my choir and my handbell group. Good, honest, real and talented people are at the core of all these experiences, and I am pleased to know each and every one of them! Thank you all!